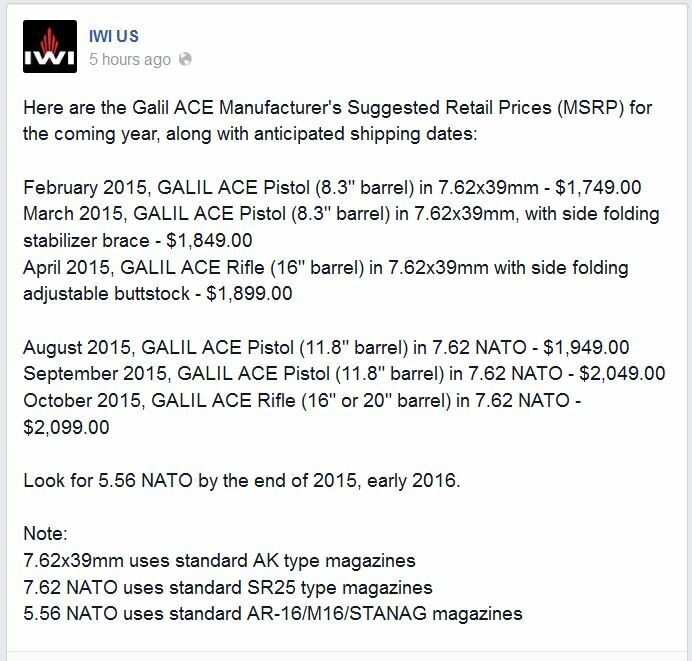 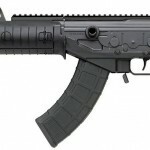 Yesterday IWI wouldn’t give MSRP on the Galil ACE rifles over the phone, however they posted them today on Facebbok. 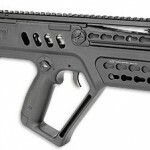 I think it is a smart move to release the 7.62x39mm and 7.62 NATO models first, since the Tavor is alreadya vailable in 5.56mm. 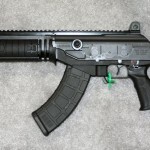 I’m very happy to see that the Galil will use the SR25/M110 magazines most common with semi-auto .308’s now. 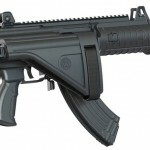 While this means no new supply of .308 Galil mags for those lucky enough to have an older large caliber Galil in their collection, but it means not investing in a new proprietary mag for the rest of us.